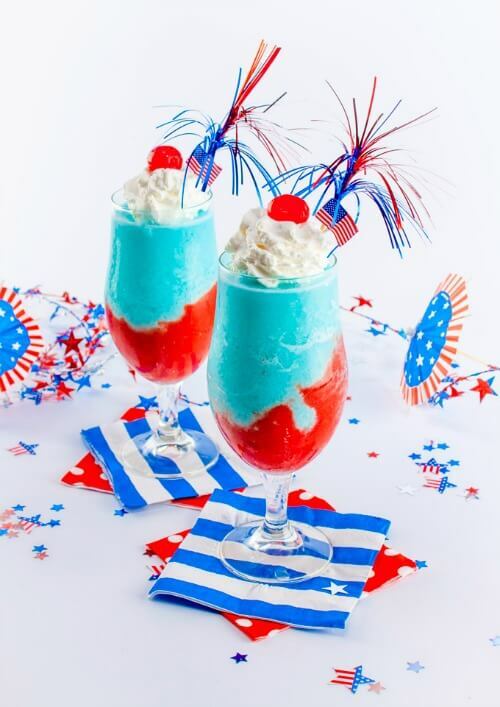 If you’re wondering what kind of beverage to serve at your 4th of July gathering, I’ve found 10 different recipes you might consider. Some are alcoholic and some are non-alcoholic. 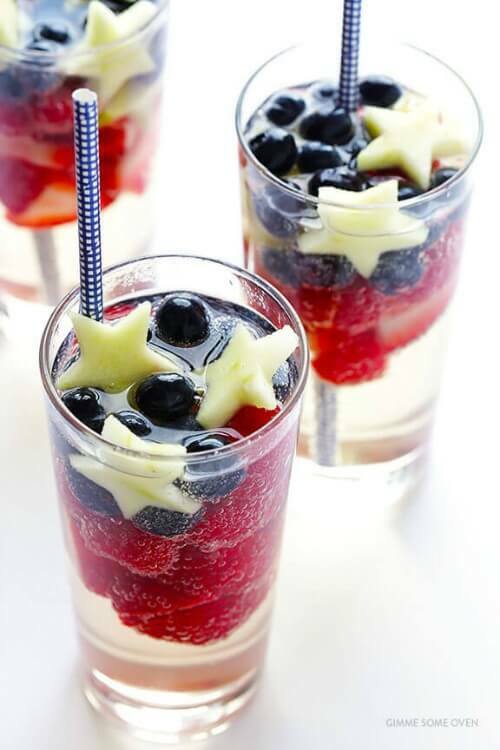 Gimme Some Oven used blueberries, raspberries and star-shaped apple slices to create this appetizing drink. 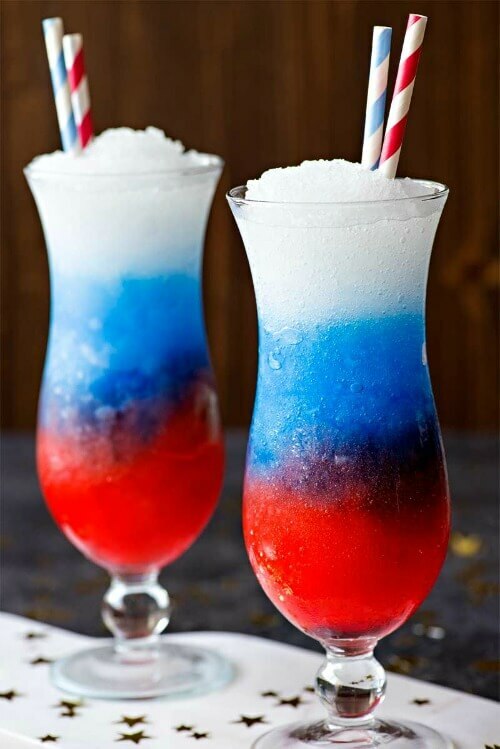 You know everyone would enjoy these slushies by Homemade Hooplah made with red, white and blue vodka lemonade slush. This non-alcoholic drink made by Mom Endeavors will surely be a hit with the kids in your group. Water is always appreciated on hot days. 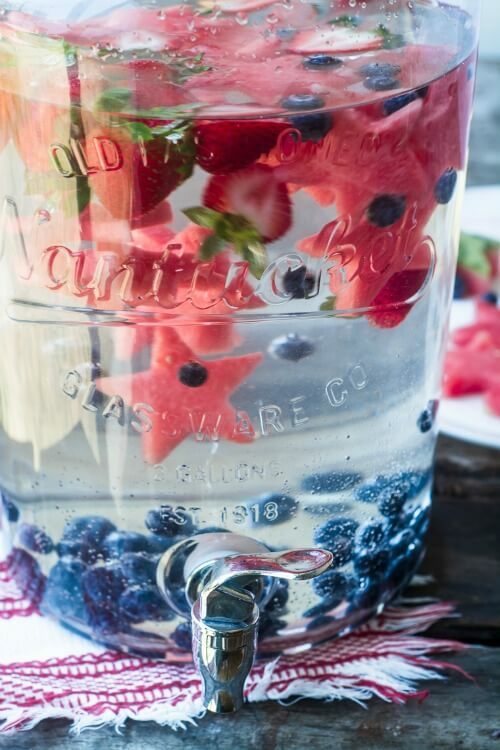 This fruit infused water, with blueberries, watermelon and strawberries, will taste delicious throughout the day. The longer the fruit sits in the water, the stronger and richer the taste will be. 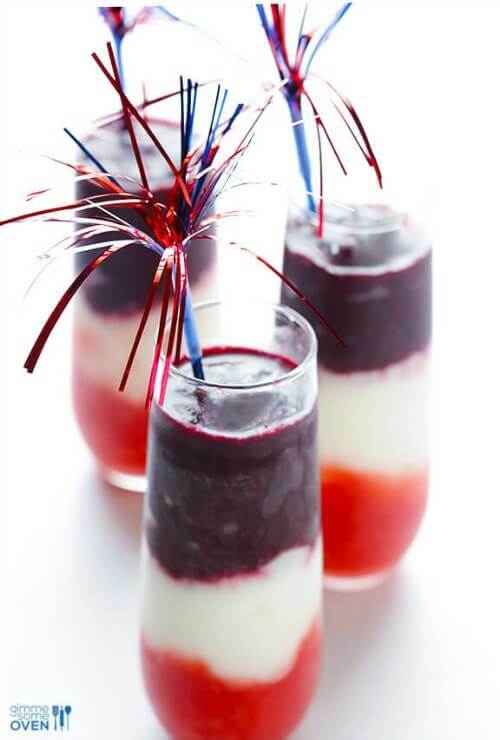 To make these juice drinks you only need a few ingredients, fresh strawberries, blueberries, white grape juice and ginger-ale. Gimme Some Oven created a beautiful and delicious margarita recipe that the adults will love. Who doesn’t love margaritas? 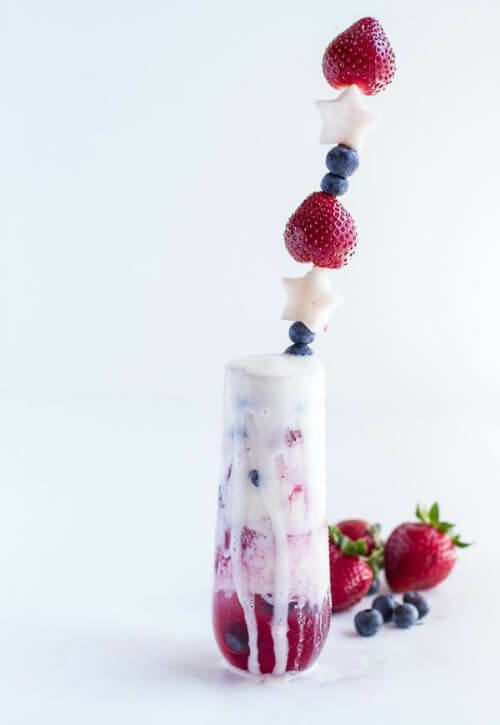 Home Sweet Jones created a layered strawberry puree and blue curaçao piña colada for the adults in your group. This margarita float started out as a fail, but Half Baked Harvest used her creativity to not only save her recipe, but make it look delectable as well. This cherry lime mojito is Cooking LSL’s new favorite summer cocktail. She added sprigs of mint as a garnish. 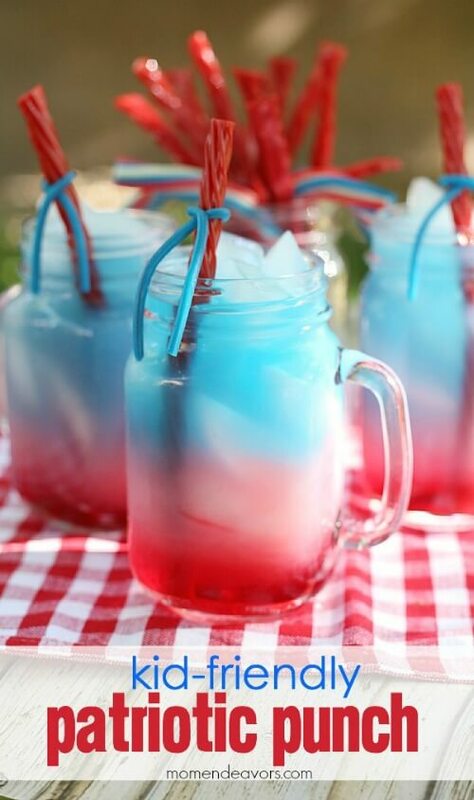 I hope you have found a suitable beverage here to serve to your guests on the 4th of July holiday. Every one of these drinks looks festive and scrumptious. I cannot wait to make one or two over the holidays. I hope that you are having a great day! 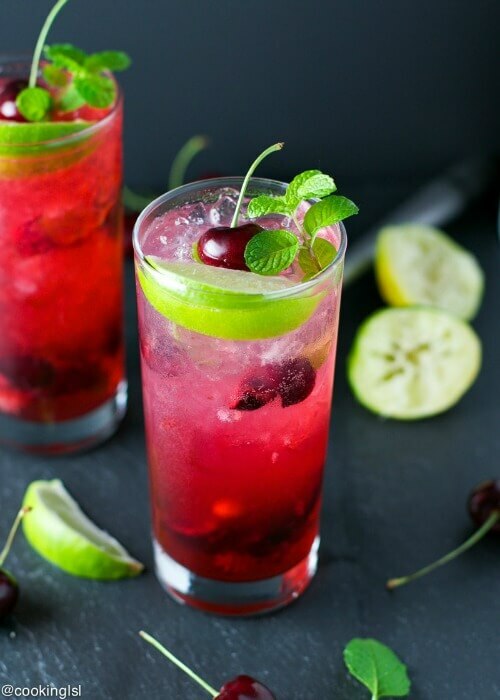 oooh, those cherry lime mojitos!! 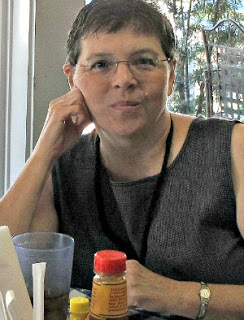 Brenda, I love all these ideas and for sure I will be working on the non-alcoholic ones for my kids. They would love these, I remember doing one years back and it was a big hit with them. Have a great day hun. Love the look of the colorful drinks. 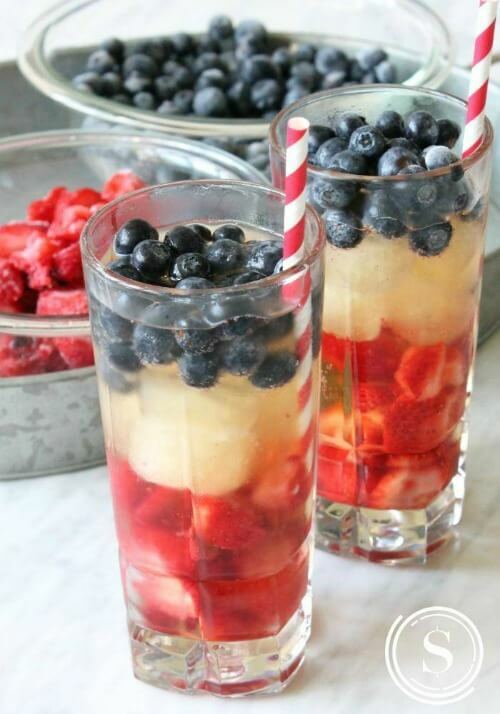 It gives me the idea to toss some strawberries and blueberries into my ginger ale! These are all festive and fun. Have a great rest of the week. Thanks for the recipes! All look wonderful and refreshing for the heat wave expected here for the holiday. I’m in for the fresh fruit in sparkling juice! Thanks Brenda! 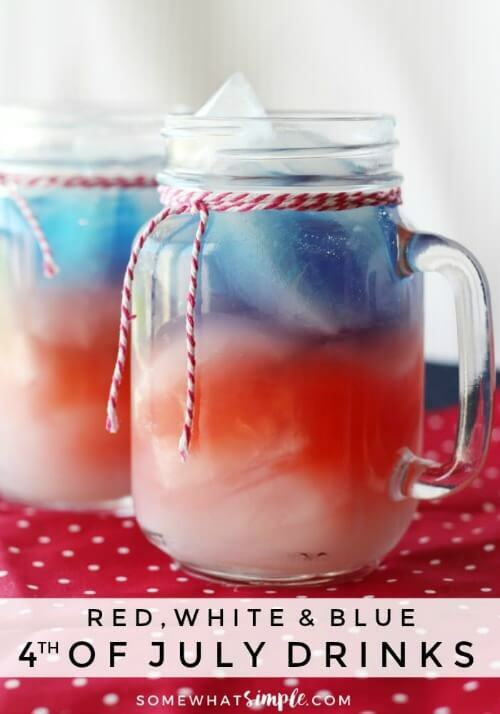 That’s very thoughtful of you to post some red, white, and blue drinks. Especially when it’s going to be hot and muggy everywhere! Ugh! You and Charlie have a great weekend! amazing recipe. thanks. I will follow your blog.